So someone at our house (cough: my husband: cough cough) left out an entire bag of frozen shrimp. By the time I found them, they had defrosted and needed to be cooked or eaten. So we cooked up an entire bag of shrimp from Costco and froze them in smaller bags. This week, I’ve been trying to come up with ways to use them. This was simple, spicy and the sauce was so good I wanted to lick it off the plate. Hey, I waited until I was alone at the table before it did it! Surely that gets me points for good behavior. Looking for a seafood recipe with some kick? 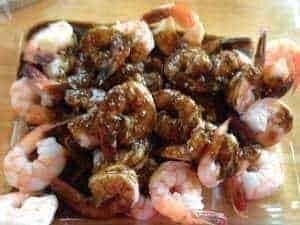 Not only is my Piquant Shrimp full of flavor, but it's also low carb, high in protein and gluten free! In a small saucepan, melt all the ingredients for the sauce together. Bring it to a boil and let it boil for a minute or two until all the ingredients are mixed together and the sauce has thickened. 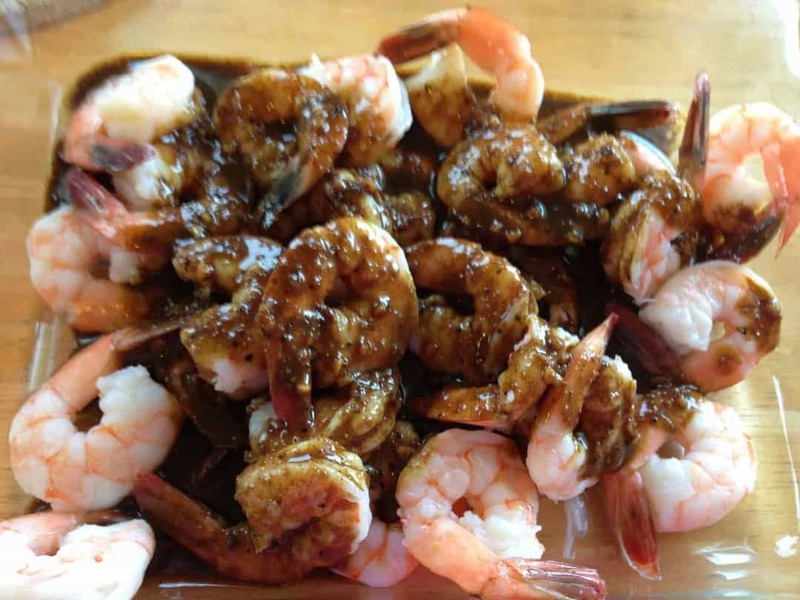 Put the shrimp into an oven-proof container and pour the sauce over the shrimp. If the shrimp are pre-cooked, you can either eat this point or subject to a quick broil for 4 minutes. I broiled it because I like my shrimp hot. If the shrimp were raw, broil until done, I'm guessing this will be 8-10 mins at the most no more. This makes a lot of sauce. All the better for you to eat it with a spoon, my dear. Mmmm, that sauce looks really good! I can’t eat shrimp, but maybe I’ll try with some fish or chicken! Oh that sounds good! If you do it with chicken, I don’t even think you need to pre-cook the sauce because the chicken will need time to bake/cook and I’m sure the sauce will cook along with it. That’s a great idea! Don’t forget to send a picture if it turns out. I’d love to post it!